Encarnacion now with two on and two out. Koji clinging to the lead in the 9th. JBJ snaps up a bullet to CF and the Red Sox win. Pitching: LHP Jon Lester (2-3, 2.67). Pitching: RHP R.A. Dickey (1-3, 5.90). Red Sox vs. Dickey: Victorino 6-25, Ortiz 4-12, Pedroia 2-12, Pierzynski 5-12, Napoli 3-8, Bradley 1-5, Middlebrooks 3-6, Ross 1-5, Carp 0-3, Gomes 0-2, Herrera 0-2, Sizemore 1-1. Blue Jays vs. Lester: Bautista 11-54, Encarnacion 7-36, Cabrera 10-36, Navarro 7-28, Lawrie 4-25, Reyes 1-16, Rasmus 3-15, Sierra 0-4, Goins 1-3. Stat of the Day: Koji Uehara allowed three hits on Saturday for the first time since June 9, 2012 when he was with the Texas Rangers and faced the San Francisco Giants. Junichi Tazawa allowed four hits for the first time since July 17, 2012 against the Chicago White Sox. More from Les: Jon Lester is coming off a tough start against the Yankees on Tuesday. He allowed eight runs (three earned) on 11 hits and four walks. Lester will be facing the Jays for the 29th time, his most appearances against any team. He is 15-7, 3.55 against Toronto and was 4-0, 2.55 in six starts last season. 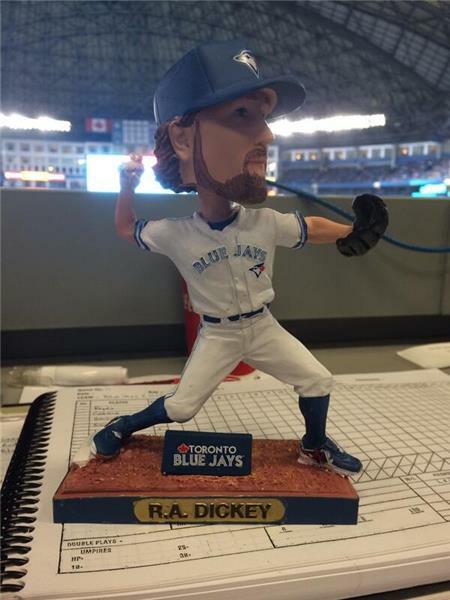 R.A. as in Really Average: R.A. Dickey is 15-16, 4.40 in 39 starts for the Blue Jays since being acquired from the Mets for prospects before the 2013 season. Dickey was 39-28, 2.95 in 94 games for New York from 2010-12. Dickey is 2-3, 5.32 in 15 career appearances against the Sox, 0-2, 8.53 in two starts last season. Milestone day? Pedroia has 99 homers and 499 RBIs in his career. He would be the 27th player to have 100 homers and 500 RBIs with the Sox. Pedroia would join Carl Yastrzemski as the only Red Sox players with at least 100 homers, 500 RBIs and 100 stolen bases. Where there’s a Will: Will Middlebrooks is 6 of 14 with two doubles, two homers and four RBIs in his last four games. … Middlebrooks is 17 of 51 (.333) with five doubles, five homers and nine RBIs in 13 career games at the Rogers Centre. Other notes: The Sox have won two straight and seven of 11 and can get to .500 for the first time since April 4. They have not won three consecutive games all season. … Toronto has lost four straight, giving up 36 runs in the process. … The Sox have won eight of 12 against the Jays. … Mike Napoli has reached base in 20 consecutive games. … Xander Bogaerts has a nine-game hitting streak. … The Sox had 15 runs, 21 hits (13 for extra bases) and 15 walks in the first two games of the series. … A.J. Pierzynski is 5 of his last 10 with six RBIs. Song of the Day: “White Knuckles” by Elvis Costello and the Attractions. #RedSox : Pedroia 2B, Sizemore LF, Napoli 1B, Pierzynski DH, Middlebrooks 3B, Gomes RF, Bogaerts SS, Bradley Jr. CF, Ross C, Lester LHP. * John Farrell is giving days off to David Ortiz and Shane Victorino for several reasons. The turf here is unforgiving and with the team off on Monday, it gives them two days in a row off. Victorino had played three days in a row after coming off the DL. * A,J. Pierzynski is 5 for 12 against R.A. Dickey and 5 of 10 in the last three games, so he will DH for the first time this season. Farrell also wanted to keep David Ross catching Jon Lester. * Something to keep an eye on. Mike Napoli, who was off on Saturday, looked great in batting practice. Erik "blood and guts" Bedard takes mound for Tampa tonight at Fenway. His part in 2011 Sox collapse gets underplayed. #RedSox 4-0 in last 4 games A.J. Pierzynski has caught. Starters have a 2.10 ERA. 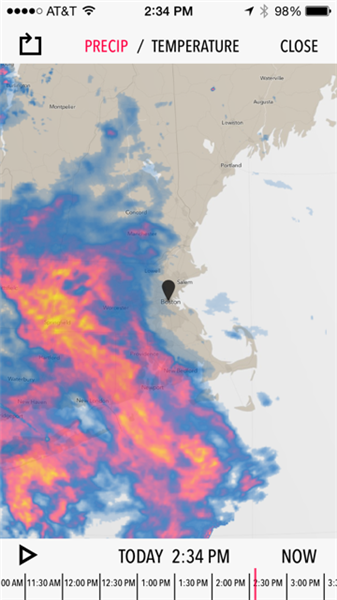 Once there is any information on the #RedSox game and/or a rescheduling, I will tweet it out. Won’t speculate. My goodness. James Harden couldn't defend a folding chair. No clue on Minnesota-Colorado. But this Game 7 OT should be fun. It’s on CNBC if you’re up. The Rays did not want to play a doubleheader on Thursday, to a point that acting player representative Ben Zobrist contacted the MLB Players Association to complain. But a clause in the collective bargaining agreement allowed the Red Sox the leeway to schedule a split doubleheader rather than seek alternatives such as mutual days off later in the season. On most occasions, a team can only schedule a split doubleheader when ticket sales for the game at the time of the postponement exceed the number of tickets available to be exchanged and both the postponed and regularly scheduled game occur in the last scheduled series at a particular park. But the Red Sox and Cubs have a long-grandfathered in right to reschedule any postponed game as a split doubleheader even if the usual criteria are not met. According to Red Sox chief operating officer Sam Kennedy, the clause is the product of Fenway Park and Wrigley Field having the smallest capacities in the majors combined with a high demand for tickets. The teams have a mutual off day on Sept. 22, the day before the teams start a three-game series at Fenway. But the Red Sox, Farrell said, wanted to preserve that date. “The one thing that we can’t predict is what the future holds,” he said. “You [have] this date as an off day or a mutual off day late in September. We have a number of teams that come in here one time … so it provides some flexibility if weather hit us for a National League team that comes in here only once. The Red Sox had competitive reasons as well. Their rotation is relatively stable while the Rays are dealing with injuries. Lefthander Cesar Ramos, who will start Game 1 for the rays, started the season as a reliever. The Red Sox also have a stronger and deeper bullpen. In theory, the Rays could be a stronger team in September than they are now. A rescheduled game could lead to the Red Sox facing David Price as opposed to a fill-in like Ramos.